Avery's 4th birthday was so fun to plan! It centered around a round orange stuffed cat from IKEA known in our household as "catball." Since she was one, Avery has had a brood of catballs that she plays with, sleeps with, etc. Basically, they're her favorite creatures in her entire menagerie of stuffed animals. 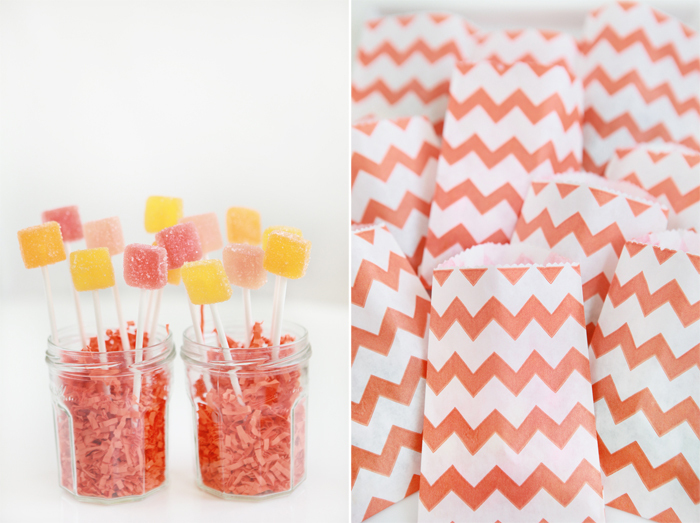 The party colors were mostly oranges with various shades of blue worked in here and there. On the menu were mini vanilla cupcakes from Susiecakes, mini orange-glazed donuts from a local shop called Fill in the Hole Donuts and lollies with kettle-cooked jellies from Trader Joe's (these were a clear winner at Avery's 2nd birthday party). The orange circle garland is from one of our favorite children's retailers, Land of Nod. It's made of felt and can definitely be used over and over again. 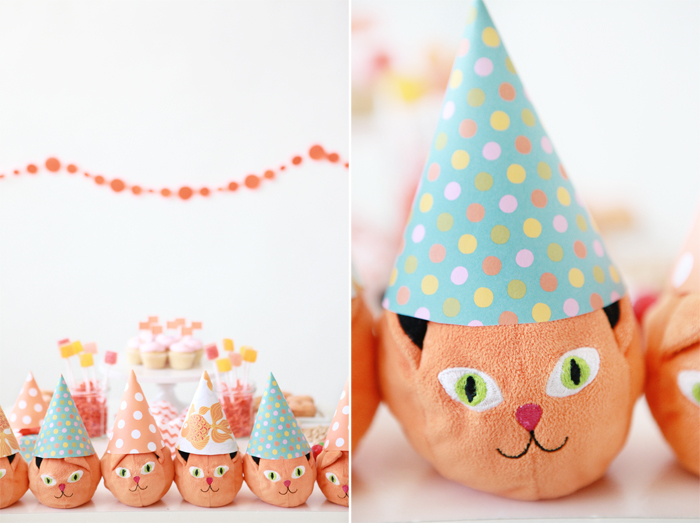 Avery's beloved catballs are wearing party hats made with Paper Source prints using an easy template thanks to Lavender's Blue. Avery also has a deep love of balloons, so I ordered a 36" round citrus orange balloon from Shop Sweet Lulu and had it blown up at our local Party City. 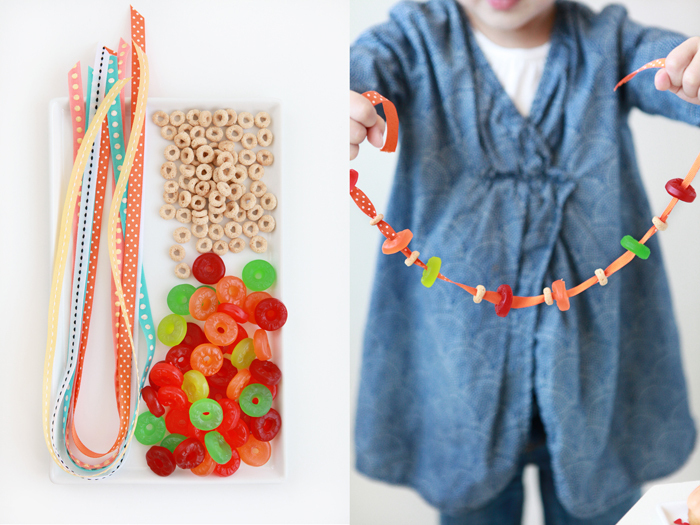 We had a candy necklace-making station with gummy Lifesavers and Cheerios, inspired by an idea in this book.